Welcome to Blue Jewel Ceilidh Band. We offer a superb ceilidh for a night to remember! 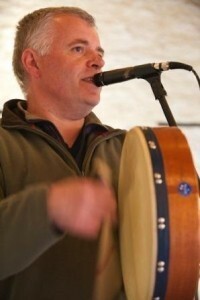 We are a much sought after, experienced, quality ceilidh and barn dance band, based in South Devon. Welcome to Blue Jewel Ceilidh Band! 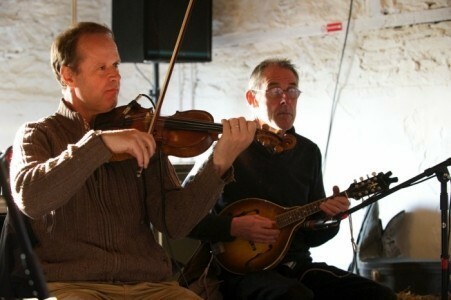 We are a much sought after, experienced, quality ceilidh and barn dance band, based in South Devon. We play mostly Irish tunes, some English & Scottish, and the odd European tune, like Troyka (have a listen to the mp3), that people love! We play as a trio (caller/bodhran/fiddle, fiddle, guitar/mandolin), 4-piece (plus bass), or 5-piece (plus bass and drums). Our caller, Kip, is relaxed and clear, and makes it all easy and fun. From novice dancers to the more experienced, children to the silver-haired, we can guarantee you'll have a great time...! The rev ... iews section on this site contains just a small selection of our reviews. Overall we have an AVERAGE rating of 9.9 / 10 from 77 reviews (up to Jan 2019). 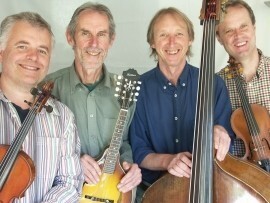 Blue Jewel Ceilidh Band have been together since 2012, and have established a firm reputation as one of the finest ceilidh bands in South-West England. Kip Pratt (caller/fiddle/bodhran) and Mike Vickery (boozouki / mandolin) have played together in other bands for donkey's years, and asked Steve Banks (fiddle/calling/drums) to join them to create the distinctive Blue Jewel sound. Superb bass guitarist, Pat Butterly, completes the full line-up. Thank you so much for making our wedding so special- we absolutely loved the music and dancing, what a memorable night! All of our guests commented on how much they enjoyed it and what a great atmosphere it created. Just superb, what more can I say? 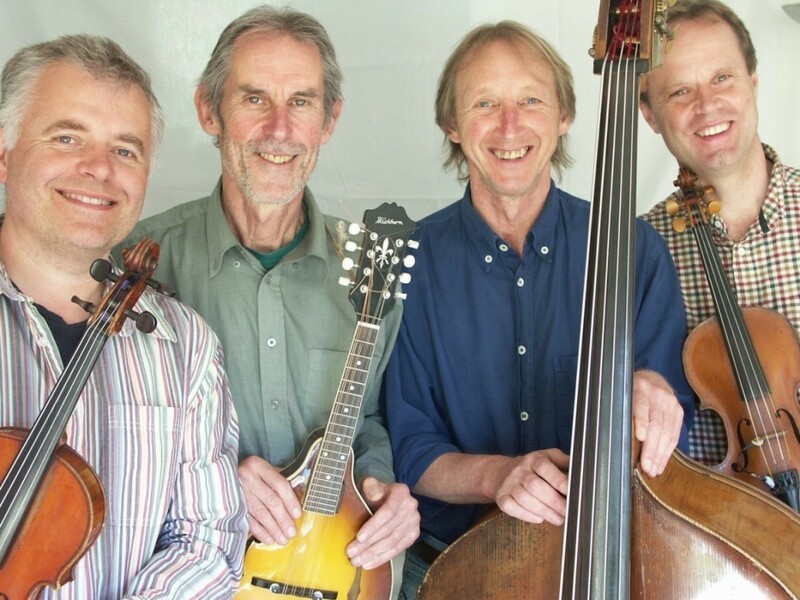 Blue Jewel Ceilidh Band have played hundreds of ceilidhs over the years since they formed in 2012, to great acclaim. Just read the outstanding reviews on our website. Melanie Eclare - birthday party. Richard and Kate - wedding. Andrew and Donna - wedding. MS - 60th wedding anniversary. South Devon Healthcare Trust - work social. Wedding Reception Entertainment Birthday Party Entertainment Private Parties Corporate Events Cocktail Receptions Christening Entertainment Product Launches Trade Shows Christmas Party Events Bar Mitzvah Bat Mitzvah Gala Dinners Jewish Weddings After Dinner Entertainment Anniversaries. We provide our own PA. Just need a single power socket.